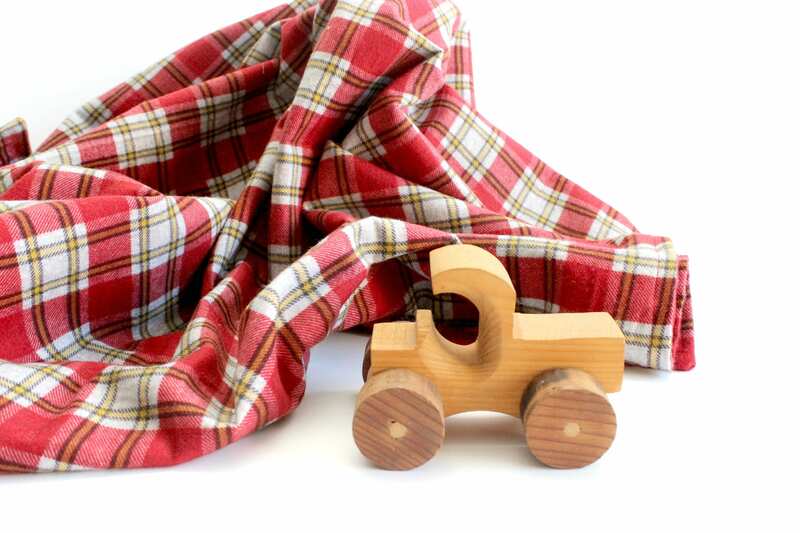 Soft double-sided flannel baby blanket and burp cloth set. 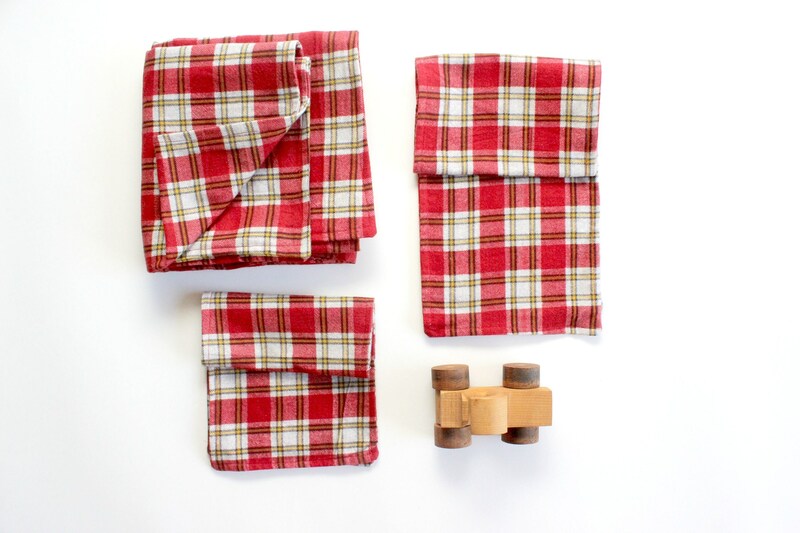 This vintage hand sewn 3 piece set includes, 1 baby blanket and 2 (different sized) burp cloths. 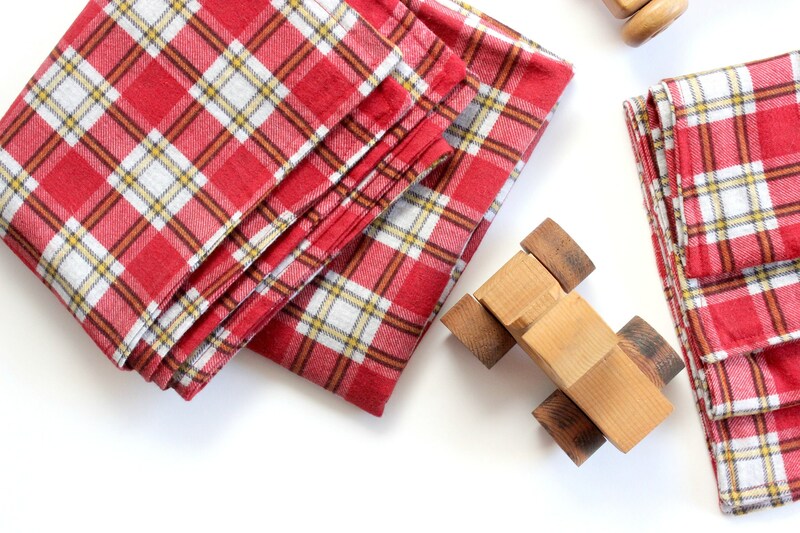 Red, black, yellow and cream colored plaid pattern. Perfect for a little boys room! Blanket measures inches 33 wide and 34 inches long. 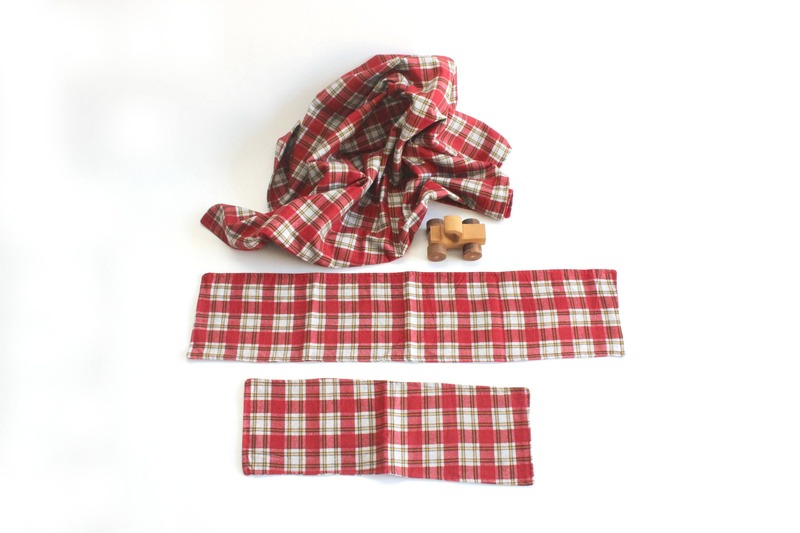 Longer burp cloth measures 7 x 32. 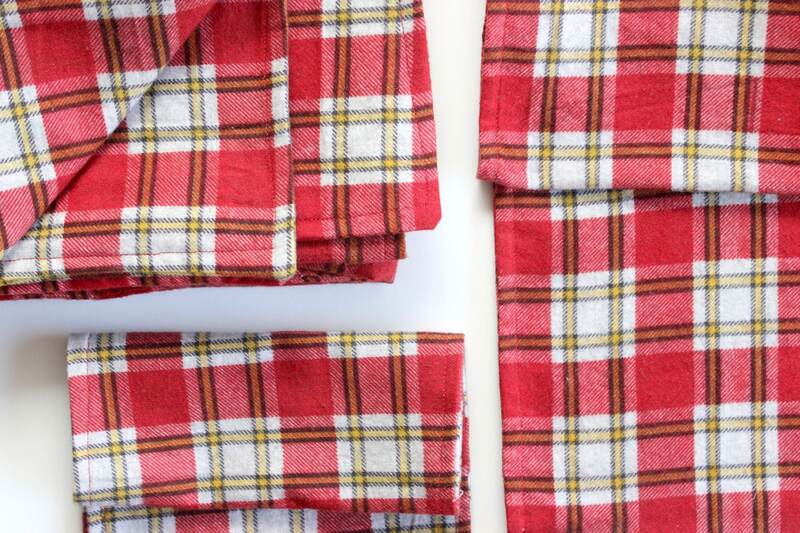 Shorter cloth measures 7 x 20.5.